The chances of survival of five soldiers trapped under snow at two places along the Line of Control are fading fast as army teams have not been able to rescue them even after the lapse of 36 hours. SRINAGAR: The chances of survival of five soldiers trapped under snow at two places along the Line of Control (LoC) in Jammu and Kashmir are fading fast as army teams have not been able to rescue them even after the lapse of 36 hours. “Army teams are continuing rescue operations to rescue the five army men trapped under snow at Naugam and Gurez sectors along the LoC in north Kashmir,” defence spokesman in Srinagar, Colonel Rajesh Kalia said. Three army men manning a forward post in Kanzalwan sub-sector of Gurez in north Kashmir’s Bandipora district were trapped under snow yesterday morning after coming under avalanche. 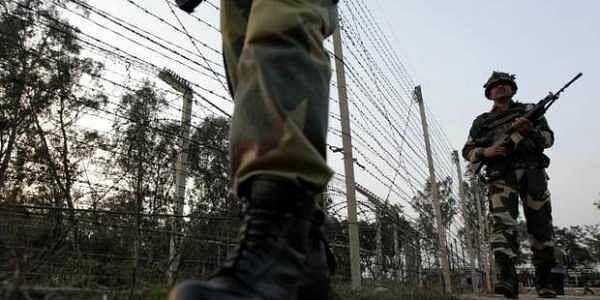 Two more soldiers slipped down a mountain slope along LoC in Naugam sector of border district of Kupwara. The upper reaches of the State especially the areas close to LoC have experienced heavy snowfall. In wake of continuous snowfall, the threat of snow avalanches looms large in the upper reaches. An army official said army’s Avalanche Rescue Teams (ARTs) are engaged in the rescue operation to rescue the five soldiers trapped under snow. “However, the operation is being hampered by bad weather and poor visibility,” he said adding the areas are experiencing snowfall. The official said the army teams have been intermittently conducting the rescue operation since yesterday. With each passing hour, the chances of survival of the soldiers trapped under the snow are receding. “We are praying for their safety and hope they are rescued alive,” the army official said. Asked whether the army experts have been rushed to the area to help in the rescue operation, he said, “It is not possible due to the prevailing weather conditions to lift anybody to the areas, where the soldiers are trapped under snow”. “The army teams have got enough expertise to rescue the soldiers trapped in the snow. The rescue operation is prolonging due to bad weather conditions,” the official said. In January this year, 20 soldiers including four officers were killed in snow avalanches in Gurez, Machil and Uri sectors, close to the LoC.